Dr. Bora has immense experience as an Oncologist in treating all types of Cancer patients in leading centers in Gurgaon. As a Professor of Medical Oncology, he has a special interest in Cartilage transplant, shoulder surgery, and sports injuries. He is one of the few doctors in Delhi-NCR who practice Arthroscopic all inside ACL reconstruction. He has over 11 years of experience of satisfied patients in his field. He did the fellowship in Shoulder surgery from Istituto Clinico Humanitas, Milan, Italy, and fellowship in Sports Medicine and Arthroplasty from Hospital Ambroise Pare, Paris and Fellowship in Sports Medicine from Hospital for Special Surgery, New York. 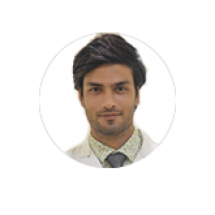 Dr. Bora Being a Member of The Royal College of Surgeons of Edinburgh ( M.R.C.S ) Manu Bora is a part of a prestigious network of some 20,000 professionals in almost 100 countries across the world known for their pursuit of excellence and advancement in surgical practices.